Omaha Above Ground Swimming Pools | Creative Structures, Inc. Above Ground Swimming Pools from Creative Structures, Inc.
You want a swimming pool, but your backyard space is an obstacle for any swimming pool of considerable size. You’d like to keep your costs down but still have a swimming pool the entire family can enjoy. 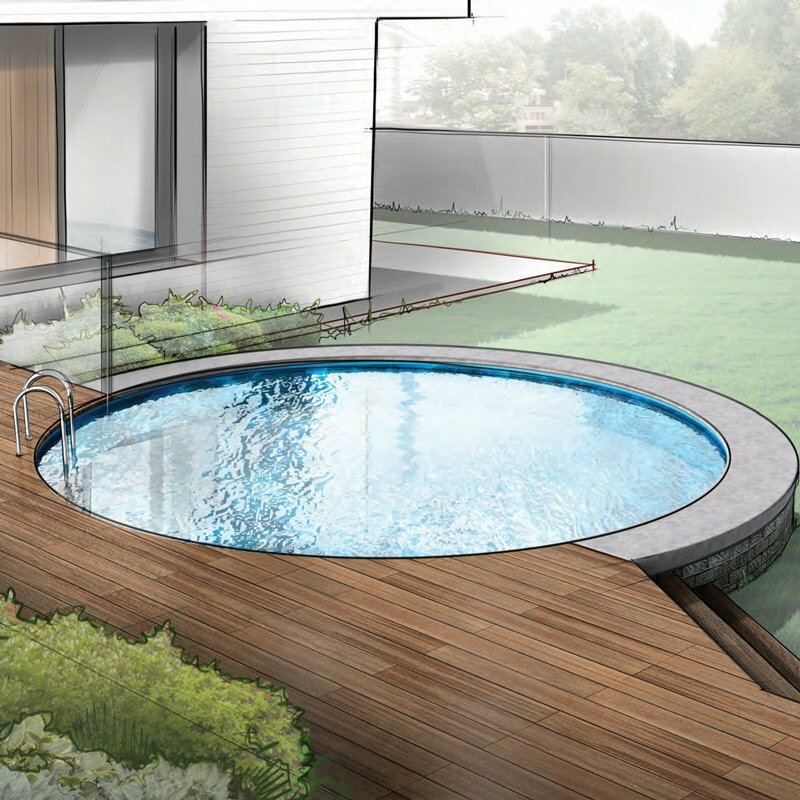 Above ground swimming pools from Omaha’s Creative Structures might be the answer you’ve been looking for. You wanted a pool, like, last summer. Think it’s too late in the season for an affordable swimming pool in the Omaha metro? It’s never too late to enjoy a quality swimming pool that fits your budget and space requirements…in a fraction of the time of traditional swimming pools! It’s not your grandma’s old above ground pool. 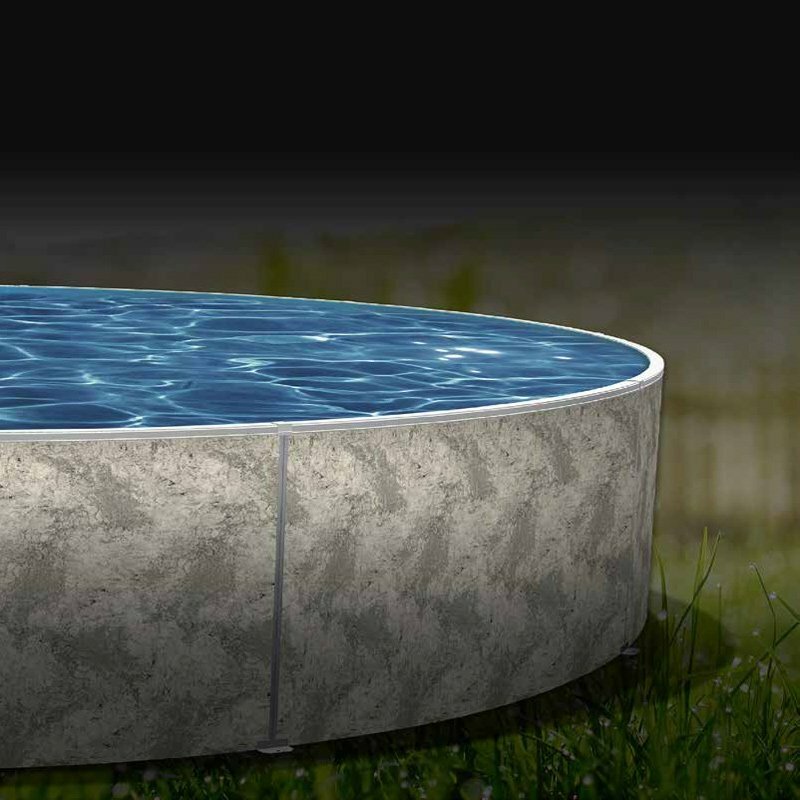 Imagine choosing your swimming pool from a variety of oval or circle shapes and sizes with options that look more luxurious than the budget above ground pools you can buy at the local home store. You can be in an affordable above ground pool from Omaha’s Creative Structures in days, not weeks or months. We work with your budget and limited size requirements to create luxury in your own backyard. With Creative Structures, you won’t have to wonder what your new pool will look like finished. 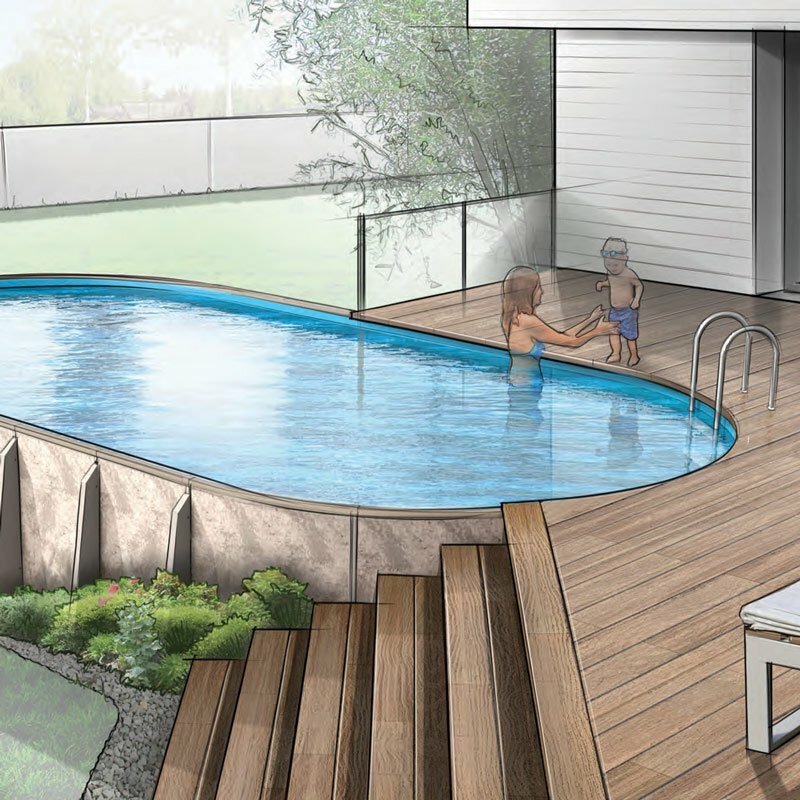 Our pool mockups leave you with a realistic vision of what your finished pool will look like.